First paper sent to the arXiv preprint server. Work by Audrey Fu on our Notch timecourse collaboration with Sarah Bray developed a new clustering approach for timecourse data. 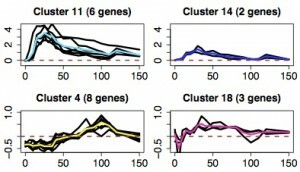 The paper, Bayesian clustering of replicated time-course gene expression data with weak signals, is now available. Many thanks to Audrey for posting it.